I had the great good fortune of (re)connecting with a number of independent school archivists over these past few months. 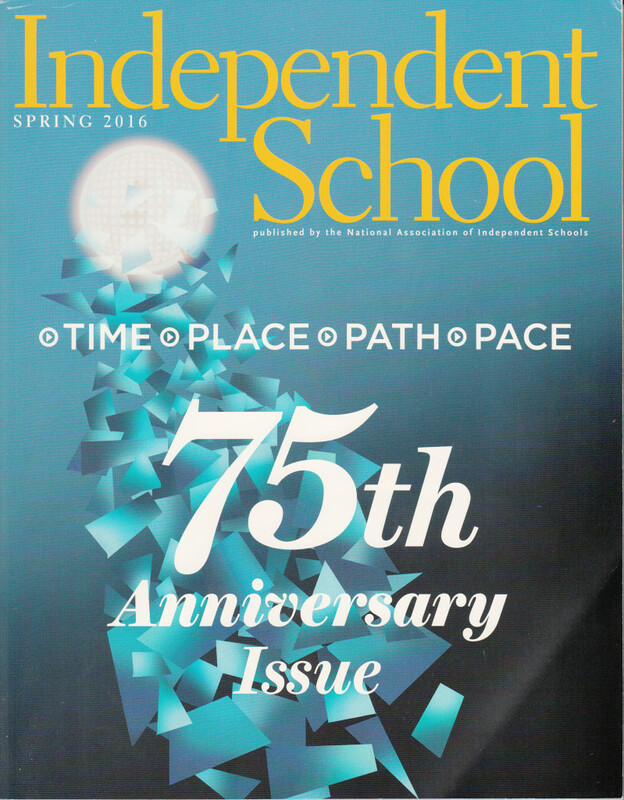 It all started with a flurry of emails over the summer as I prepared an article for the NAIS Independent School magazine’s 75th Anniversary. And a big clink and happy anniversary to the NAIS Magazine. 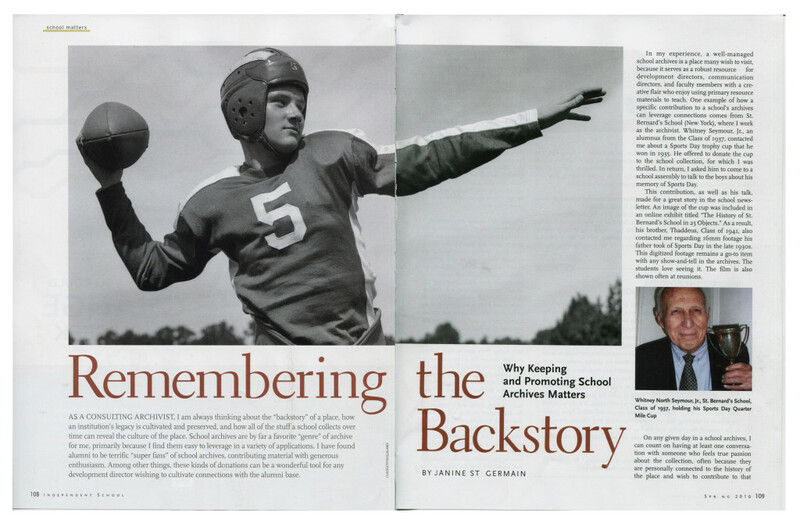 There are so many extraordinary hidden stories, astonishing images and curious traditions documented in school archives. It was great fun catching up with a few colleagues and collecting a few stories for this article. 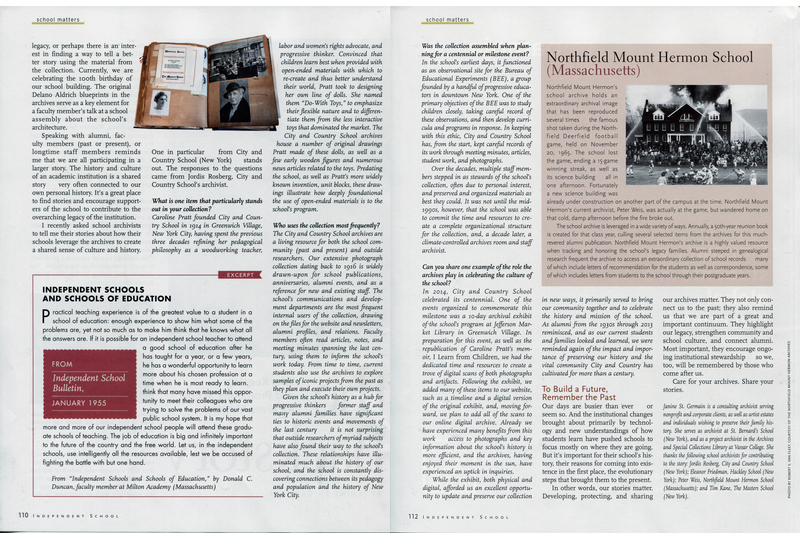 Click on the pages below for a larger, readable version of the article.